This station was set up to SUPPORT ARTIST, they deserve to be heard! 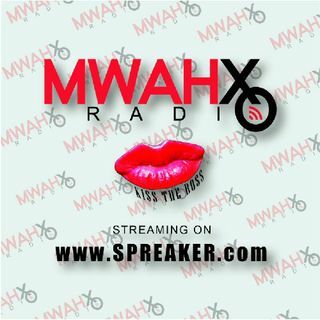 Gary Wales: Movie "Why Me"
Mwah_xoradio Intro By BILLY BOY ! Nardo Ranks "Actor N Artist"
Trill Cut was born July 15 in Daytona Beach, FL. In his first years of life, Trill Cut lived in Flagler Beach with his parents. At age two, the family moved to Bunnell projects in Flagler County, an area in which Trill Cut’s parents were raised. Shortly following the move his parents split and Trill Cut went on to live with his ... See More mother. Although his father did not live with him any more, he was still present in the neighborhood. Living with his mother, Trill Cut saw her involved in multiple abusive relationships that centered around violence, drugs and alcohol dependency. It was also commonplace for him to see her childhood friends – turned drug abusers – around the neighborhood during the drug-riddin 90s. During this time Trill Cut was in between homes, living with family relatives as well as friends of the family, due to an unstable home situation. Trill Cut’s eldest male cousin, Albert, took note of his mothers’ inability to raise him by herself coupled with his worsening behavior and distaste of authority. Knowing that Trill Cut needed a male presence in his life, Albert moved him into his residence and later they relocated to San Mateo, FL. Albert, a prominent underground producer, introduced Trill Cut to hip-hop greats such as Tupac, Notorious B.I.G., Scarface and many more which had a major influence in molding Trill Cut as an artist. With 10 people living in the home and it being difficult for Albert to maintain the household, Trill Cut’s aunt offered that he move in with her and her daughter back in Bunnell. Because of his fast-paced life before moving in with his aunt and cousin, Trill Cut struggled to adjust, now having to adhere to rules and certain expectations of a child at age 9. As an outlet to the stress, Trill Cut began playing sports and befriended Curtis Shine, who also had a great interest in music. The two began recording demos on tape and participating in school talent shows. The two were dedicated to each other as brothers brought together by music. At the close of high school, Trill Cut, against all odds, was accepted to the University of Florida. While in school Trill Cut made a lot of different connections. After joining his fraternity he started to take more interest in defining himself as an artist and began to set musical goals to later achieve. While dealing with challenges in college, Trill Cut gained new ties with his mother and father. During this time, he also had a son and daughter one year apart, which made it difficult to continue his college coursework. After college Trill Cut joined the rap group, Blu Ray of Gainesville, Fl. Shortly after, they released the Coota Brown mixtape. The group was able to perform their hot single ‘On Grind’ at the Songwriters Composers Music Conference in Greensborough, North Carolina. The group also gained attention by participating in Young Jeezy’s music competition, making it to the semi-finals in 2011. After consistenly touring, Trill Cut started doing more solo shows before moving to Miami, Fl. After working a number of dead end jobs to support his family, Trill Cut choose to pursue his Money Dreams. This momentum shift occurred while touring and performing in Gainesville’s M.A.D.E. Monday music series and Gainesville’s High Dive. Soon after, Trill Cut gained national recognition by winning the Akademia Music Award for Best Hip-Hop Funk Track for his song “On My Way”. Fresh off of the So Close Tour, Trill Cut was invited to perform with the teen sensation Silento (Watch Me [Whip/Nae Nae]), at the Youth Stunt Festival near Atlanta, Georgia. As he rises in the entertainment realm, Trill Cut made his big screen debut in the film, Room 236: Unlawful Justice. Inspired by his childhood aspirations, Trill Cut launched the #MoneyDreams movement which encompasses a book release, a sweepstakes dedicated to helping others, and a music tour beginning in the southeast contiguous United States. The #MoneyDreams movement consequently inspired the creation of Money Dreams Records and Immaculate Media Group.